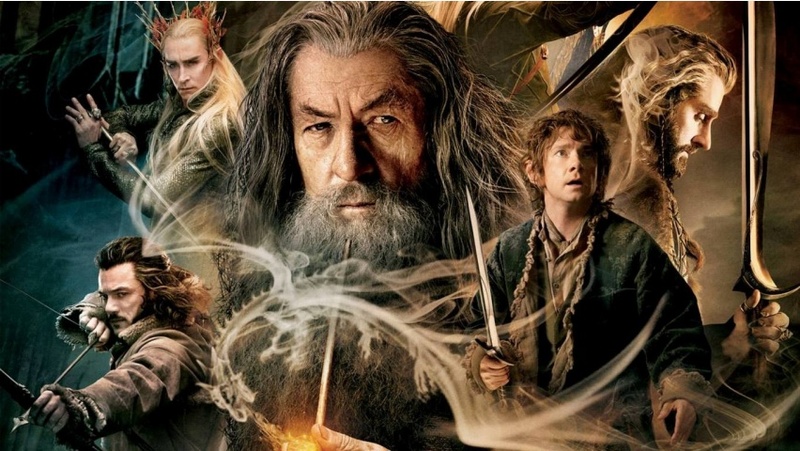 Alrightee, so this is a long-time coming, but I’ve finally gotten to my thoughts on the latest movie based on J. R. R. Tolkien’s The Hobbit. Since I took something from the first film, An Unexpected Journey, naturally I took something away from this next installment, The Desolation of Smaug, aside from the nerd-verse collision of Martin Freeman and Benedict Cumberbatch (which has been widely acknowledged with the creation of rather a few amusing memes on the Web). Unfortunately, this review might be seen as less shining than the one I gave to Unexpected Journey, BUT it’s not all bad, I promise you. Obviously, with any fan-base, there’s always a cry of “More! More! More!” (Anyone who has suffered from Post-Potter Depression like me will understand.) There is however such a thing as TOO MUCH more. When writing a first draft of a piece of fiction, that’s always the point where you’re letting your fingers, or your pen, fly, letting the words flow with very little censorship (depending on how much while writing rough drafts you listen to your internal editor). And in that process you end up unearthing some real gemstone scenes–or at least at first, they appear that way. Once you get into subsequent drafts during the editorial process, you get to know the work better and can begin to see where things drag or need their screws tightened. Sometimes it’s painful because the scene you find you have to sacrifice on the altar of good literature contains something you absolutely love and can’t let go of easily, even though it doesn’t fit well into the story for as simple reason a reason as despite how cool it is, it DRAAAAAAAAAGS. Desolation of Smaug had a couple threads that were extra to the story: one was the inclusion of Orlando Bloom’s character, Legolas, and the other was an invention of the she-elf character Tauriel (Evangeline Lilly) who participates in a rather romantic storyline with the dwarf Kili (Aidan Turner). Which was too much? Well neither really, but if I have to pick one, I’d say Orlando’s bit could have done with some tightening up. He’s kind of tied into the Tauriel/Kili thread since he clearly has a thing for Tauriel. But there was just one fight scene with him duking it out with an Orc that I felt could have been a little bit more…trimmed, if not cut out completely. But since he is the son of Thranduil, who was in the book, it actually makes sense for his character to be thrown into the mix. Plus it created for a particularly smile-worthy, fan-happy moment between him and Gloin, father of *wink, wink* Gimli. As for the Tauriel/Kili storyline, while that was totally made up entirely for the film (which created some changes from the book as far as character paths, etc. ), I was honestly drawn, breathless, into that. First of all, Tauriel was put in there to add some much needed female-ness to this guy-fest of a story (cute as those guys can be). That, and her connection with Kili, I thought, was very well-done, and created a more in-depth scenario beyond what occurred (or what WOULD occur, depending on how you look at it) between Gimli and Galadriel in The Lord of the Rings: the Fellowship of the Ring. And it’s conclusion allowed for a symphony of drama to go on in Laketown at the moment of the climax just before Smaug breaks free of the mountain and with the intention of laying waste to it. 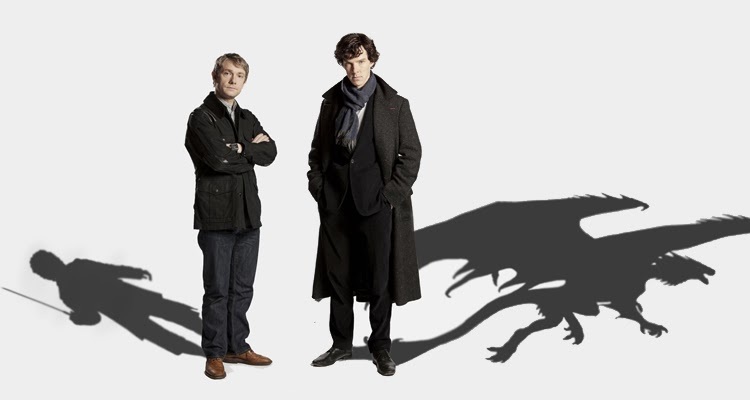 As for the scene between Bilbo and Smaug (that’s the nerd-verse collision to which I was referring earlier), I don’t think I need to go over how epic that was in the history of conversations, and relations between ordinary folk and dragons. All in all, I liked Desolation, in some ways better than the first, and in other ways not. But it did leave me with that desperate want for MORE as far as the final installment,There and Back Again, goes. Indeed it was a visual feast for the eyes, and even with all of that extra going on, plus Gandalf’s business with the dark being that we all know is Sauron trying to return to power *spoilerz*, we still manage to get a sense of Bilbo’s continuing transformation as a character, how he’s becoming the hero that lay dormant inside him while still being able to foreshadow what kind of dark hold the One Ring will have on him later on. Now, as usual, I’ve put in the treat of an AMV. In trying to find something that sort of ran along the same lines as the LOTR universe, I picked a tribute to an anime I’ve gradually discovered over time from the “Fate” franchise called “Fate/Zero”, (a prequel series to an older series known as “Fate/Stay Night”) which is so good that I already know I’ll love it and I haven’t even seen the entire show yet (always a good sign). Yeah, it’s got swords and sorcery, and *hello* legendary figures like Alexander the Great and King freaking Arthur. And the song itself that’s used it’s a-mazing, a wonderful blend of operatic orchestral choir with wicked dubstep. Enjoy the BITCHIN’ visuals. If you dare.